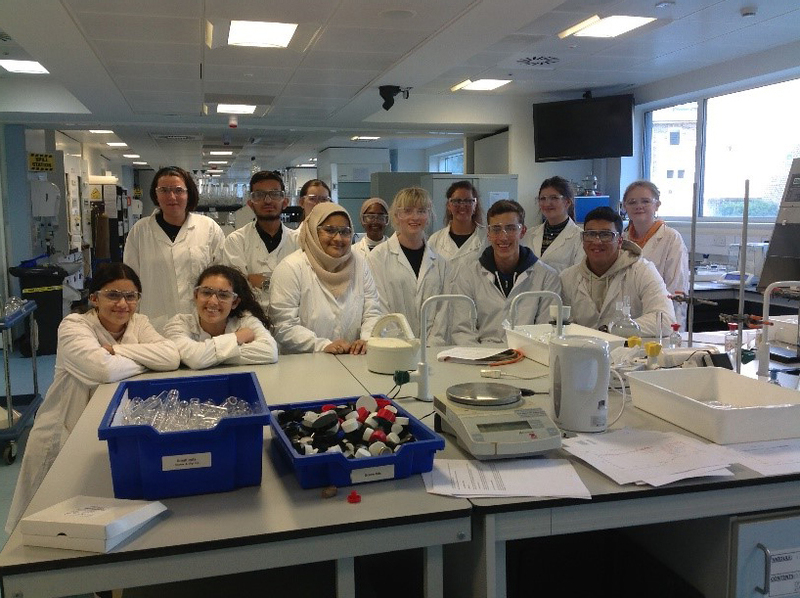 Pharmacy Trip to Brighton University - Earlier this month, thirteen BHASVIC Chemistry students visited the laboratories of Brighton University’s School of Biomolecular Sciences and Pharmacy. Hosted by Principal Lecturer Dr Matt Ingram, alongside Principal Technician Dr Angela Quadir, the students carried out undergraduate practical work extracting caffeine from teabags using techniques such as the use of a rotary evaporator. Starting with the liquid refluxed from teabags, the students carried out a series of separation and purification steps similar to those covered in the A level Chemistry programme here at BHASVIC. They then ran infrared spectra of their samples to check what bonds and functional groups were present. This can also act as a rough guide to purity when compared with a spectrum run from a pre-prepared sample of pure caffeine. Dr Ingram showed students how to carry out sequential dichloromethane extraction to isolate the organic product (caffeine) in solution.The rotary evaporator speeds up the removal of the dichloromethane solvent. Students saw the white ring towards the top of the flask; which is the solid caffeine product left behind which was then tested using IR spectroscopy. 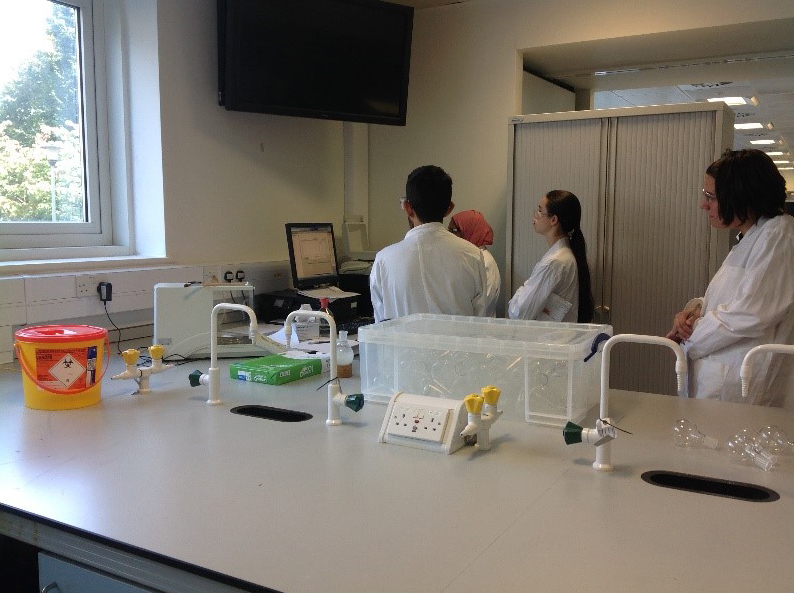 Dr Qadir showed the students how a sample can be run using an infrared spectrometer. This practical was from the MPharm course offered by Brighton University and taught by Dr Ingram. Everybody seems pleased with the purity of their final samples! 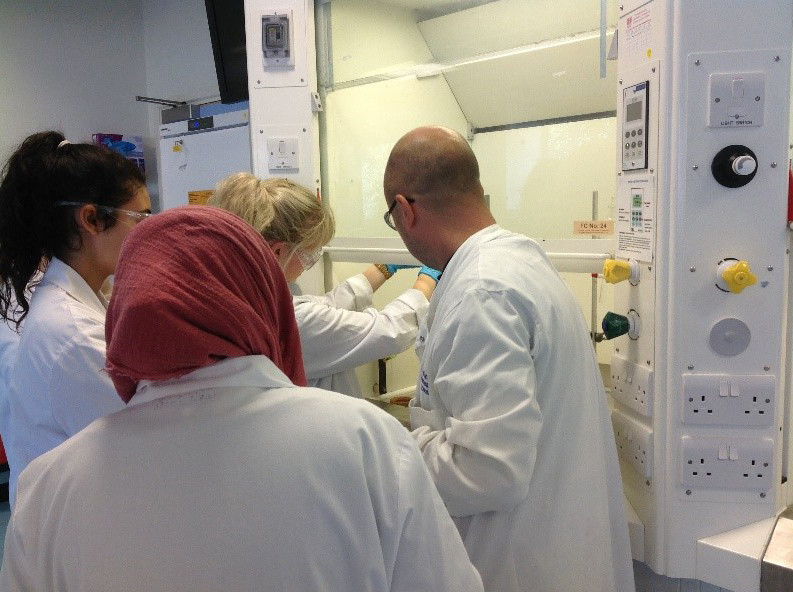 Dr Ingram shows students how to carry out sequential dichloromethane extraction to isolate the organic product (caffeine) in solution. 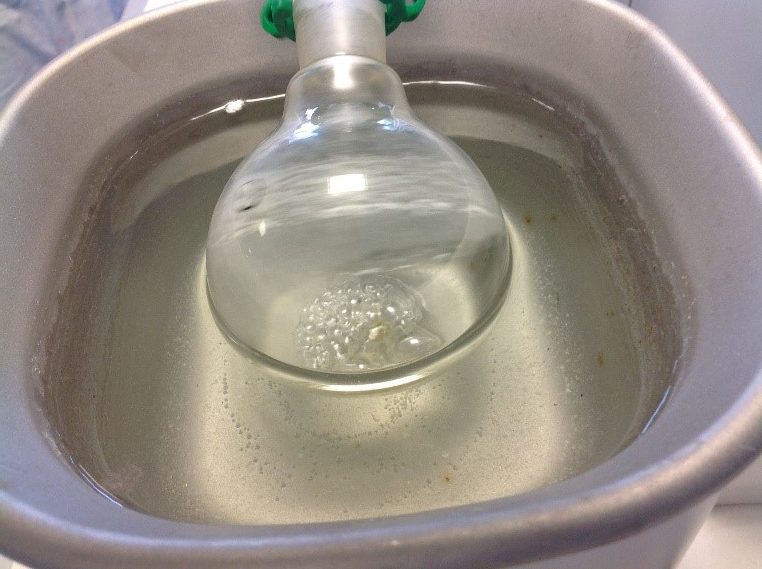 The rotary evaporator speeds up the removal of the dichloromethane solvent. You can see the white ring towards the top of the flask; this is the solid caffeine product left behind which can now be tested using IR spectroscopy. Dr Qadir shows the students how a sample can be run using an infrared spectrometer. This practical was from the MPharm course offered by Brighton University and taught by Dr Ingram.